In true Big Brother fashion, the houseguests wonder why the house didn’t vote unanimously to get rid of Johnathan. For Big Brother fans (like myself), this practice is unbelievably frustrating. The whole point of a vote is to have your say in who leaves and who stays. This idea of holding hands and voting together, despite differing opinions and relationships to the nominees is just ridiculous. Tamar seems to be the only houseguest who sees it this way, defending Dina’s vote for her friend Johnathan. Natalie and Lolo double down saying this is a clear sign that Dina is siding with the boys. Elsewhere, Ryan, Joey and Dina discuss votes. Dina was left in the dark about where the votes were going, which is unfair because she’s now being blamed for not voting with the house. Ryan feels that he’s public enemy No. 1, signaling to Joey that he needs to secure this HOH. Later in the storage room, Natalie approaches Dina for an encouraging hug, but Dina pushes her off before leaving the room. “You just got punked by a 52 year-old woman,” Lolo laughs. Kato wins the veto! He’s turning into quite the comp beast, isn’t he? Presumably Tom is safe, but everyone else has some sucking up to do. Ryan doesn’t waste time, pitching that he’s athletic and he’ll give every competition his all, which makes aligning with him beneficial. Sounds like more of a reason to vote him out…Meanwhile, Tamar is shaking in her boots. Kato doesn’t want to talk game with her, and she’s annoyed that Natalie dropped in the HOH comp instead of sticking it out to protect her team. She has reason to be scared. Elsewhere, Kato’s talking noms with Ricky – he’s tired of Tamar messing up the house, and Dina was rooting against him in the HOH comp. They have to go. Sometime around 4am, Natalie and Lolo are finally ready for bed, but Tamar’s feeling left out. In the morning, Tamar barks at Lolo, wanting to know why their game talk went on until 4 in the morning. Lolo tries to explain that Dina needed to talk, but it seems Tamar has a rebuttal for everything Lolo says. Finally, Lolo explodes. It’s a fight that’s been in the works for a looong time. At the nomination ceremony, Kato reveals his noms, but instead of giving a generic explanation like most HOHs do, Kato gets personal. He tells Dina and Tamar exactly why they’re going up on the block. “I’m not the maid!” Tamar claps back. The pressure’s on, and if Tamar swinging and crying in the HOH competition is any indication, she does not react well under pressure. Will Tamar completely unravel after being put up on the block? Who will win the veto competition? 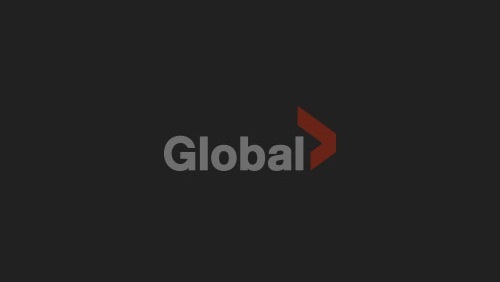 Find out Wednesday and Friday at 8 ET/PT on Global TV!